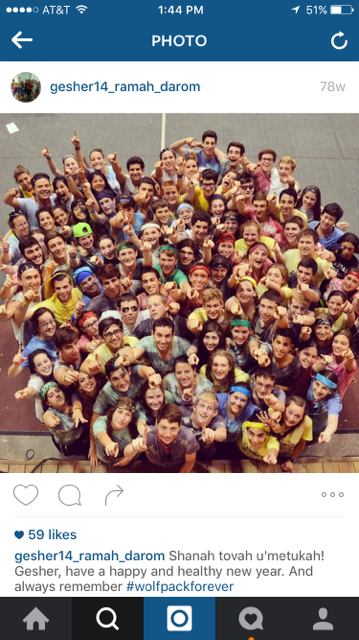 You might be an Alumni of Camp Ramah Darom but you can always participate at Ramah Darom! From Farm 2 Table TuB’Shevat to Jewish Women’s Getaway, to gatherings in your city, there are so many ways to stay connected to the place you call Home! Since 1997, Camp Ramah Darom has touched the lives of thousands of campers and staff with exciting and life-changing summers. Whether you were a 10-year camper or a five-year staff member – or even attended Camp Ramah Darom just once – you are a member of our alumni community! Our strength lies in our community and we encourage all Ramah Daromniks to keep in touch! Make sure we have your current email address by adding yourself to Reshet Ramah’s new Alumni Directory. It’s an amazing way to find old friends and create connections with new ones. You’ll also be the first to know about alumni events, reunions or other happenings in your area. Register with Reshet Ramah and keep your contact information updated. For more information on upcoming Alumni events please contact srosenfeld@ramahdarom.org. We have big plans for the coming year. Stay tuned for more information.